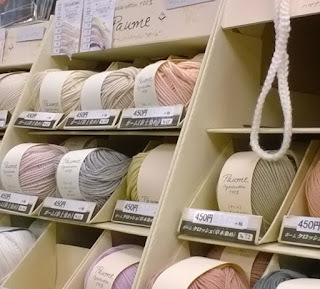 I was really lucky enough to have the pleasure of visiting Tokyo recently and to taste a little of not only the wonderful Japanese culture, but also find out what's available in Tokyo for the yarn lover out there. 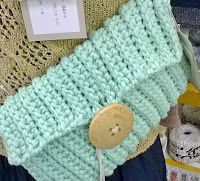 Some great recommendations of yarn stores came my way, but first I headed to Shinjuku and the Takashimaya department store. At first Takashimaya was a little tricky to find, (even though the building is huge) as Shinjuku station is a labyrinth of exits, but soon I was up in the lift heading to the 7th floor. This building really does have it all, from restaurants to fashion, to beauty, furniture, you name it, but I was of course only interested in the craft section! As soon as the lift doors opened the floor blew me away. Where to begin! 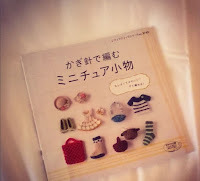 Buttons and fabrics for every occasion, including beautiful kimono fabrics, craft books, everything! The floor was huge and quite a few ladies present may I add. What I really liked about Takashimaya, and in Japan craft stores in general is that they display finished items to showcase off the yarn. We don't seem to do a lot of that in the UK and I think it's a great way to inspire people. 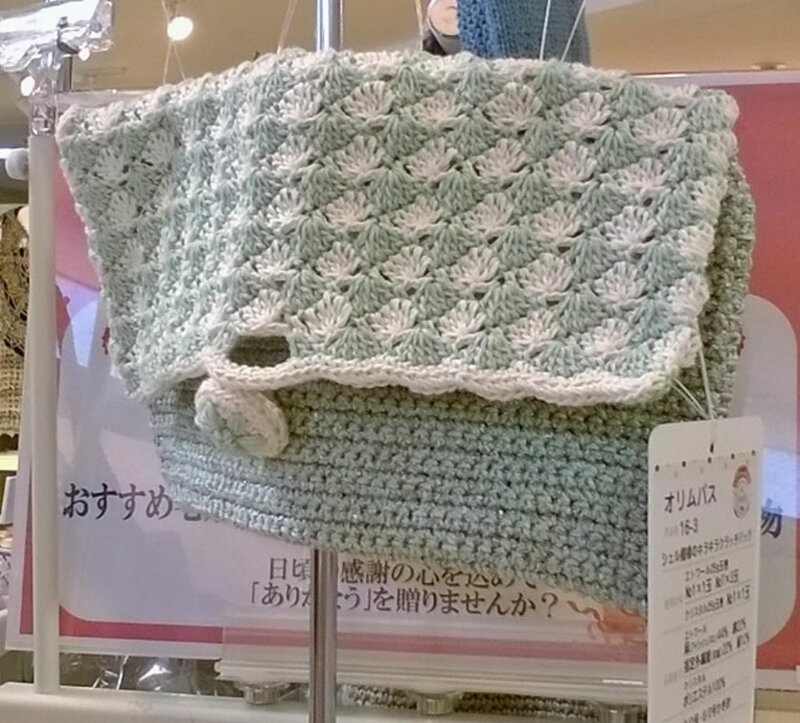 Including this cute clutch bag I came across. I of course had to purchase something, but was a little overwhelmed, and limited by my luggage. Although I love the suggestion by one of my Instagrammers to just buy more luggage he he. 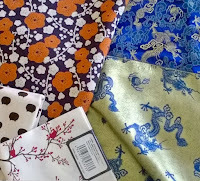 I did manage to pick however a book and some fabric samples, which I hope to turn into handkerchiefs and a t-shirt for my little one. 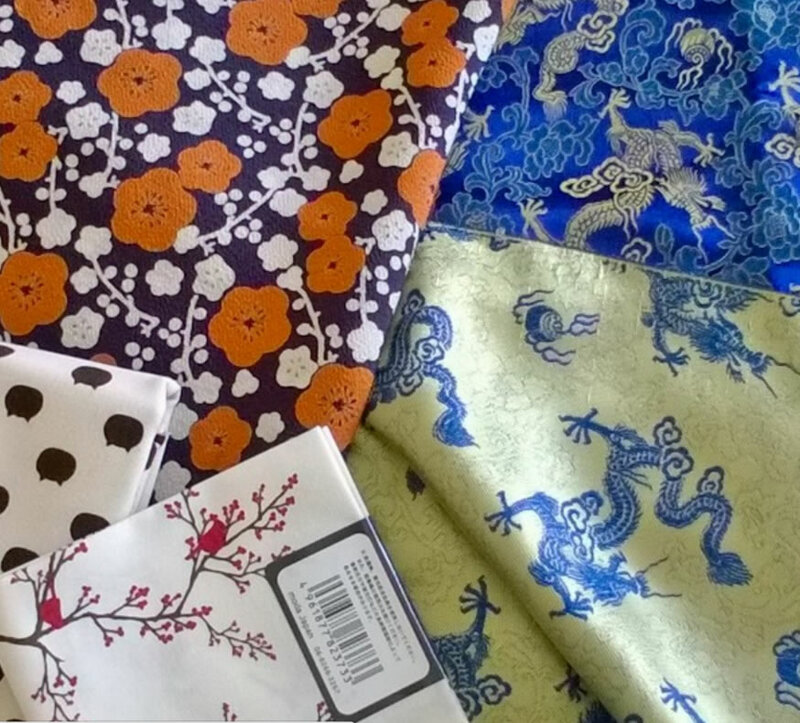 I was even lucky enough to pick up some small samples of kimono silk, although I am not sure what to make with this yet. Suggestions welcome! It was just too beautiful to leave behind. 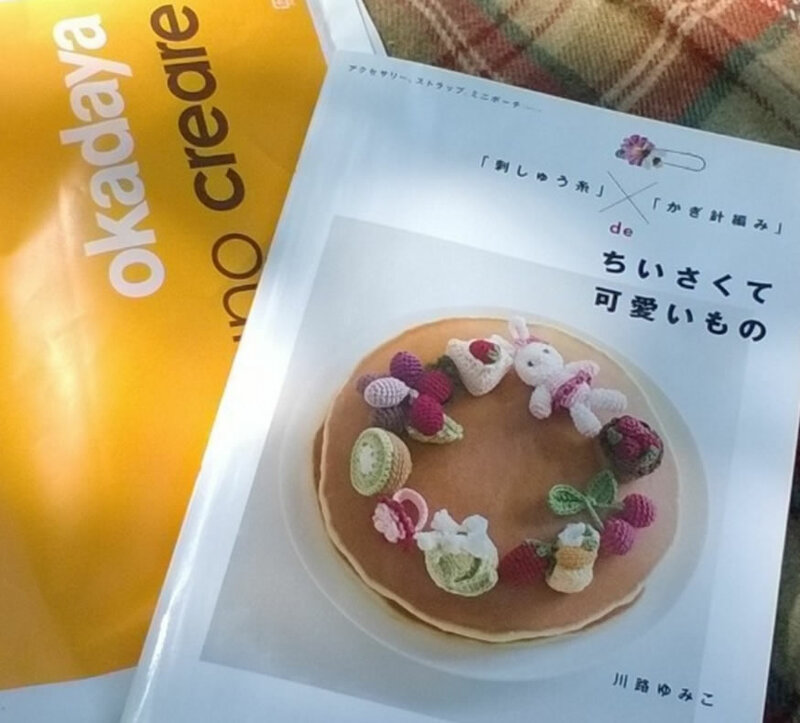 Later on my trip I was visiting Hama-rikyu Gardens, a beautiful park in central Tokyo that is home to a tea-house, a beautiful tidal lake and many many walks amongst beautiful flowers and trees. 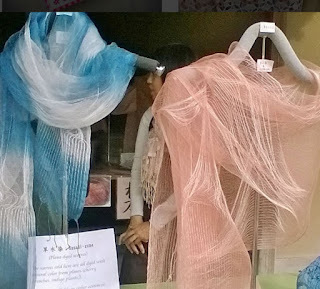 Although a very hot day that day I had to pause at a small stand I came across selling hand-dyed silk scarves. These ones in particular were 100% silk and completely naturally dyed using cherry branches or indigo plants. I of course had to pick up a pink one, where else could you buy such blossom luxury! 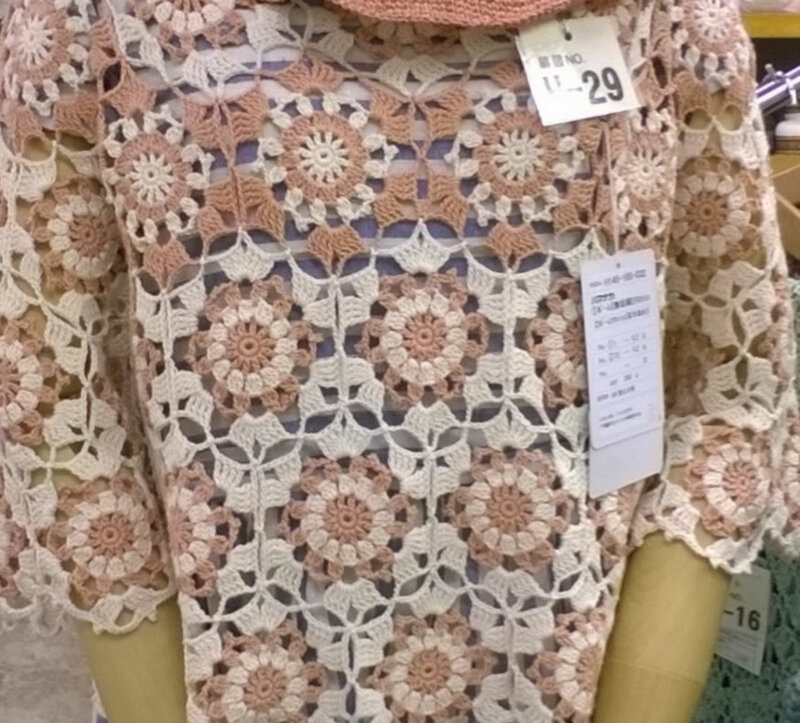 These scarves are the beautiful work of Keiko Koike and you can find out more about her work here: http://hanagoromo.biz (Japanese). 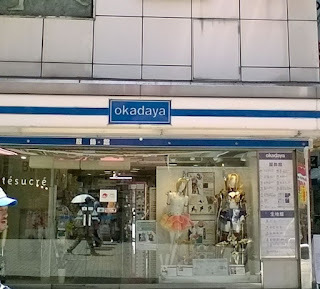 Of course as my time in Japan went on, one very special craft store was recommend to me to visit, and so I had the chance one day to head back to Shinjuku and find what I would say is the rather famous store Okadaya. 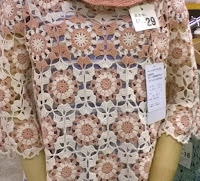 A hidden gem of two buildings, one full of fabrics and one full of crafts and other fashion items. Perhaps trickier to find from the station as the building is down a smaller alley, but if you check Google Maps before you go and head out of Exit A8 or A9 it is pretty much straight ahead of you over the road crossing. I didn't head into the fabric store, instead I headed to level 5 of the second building on the main street where the yarn was. 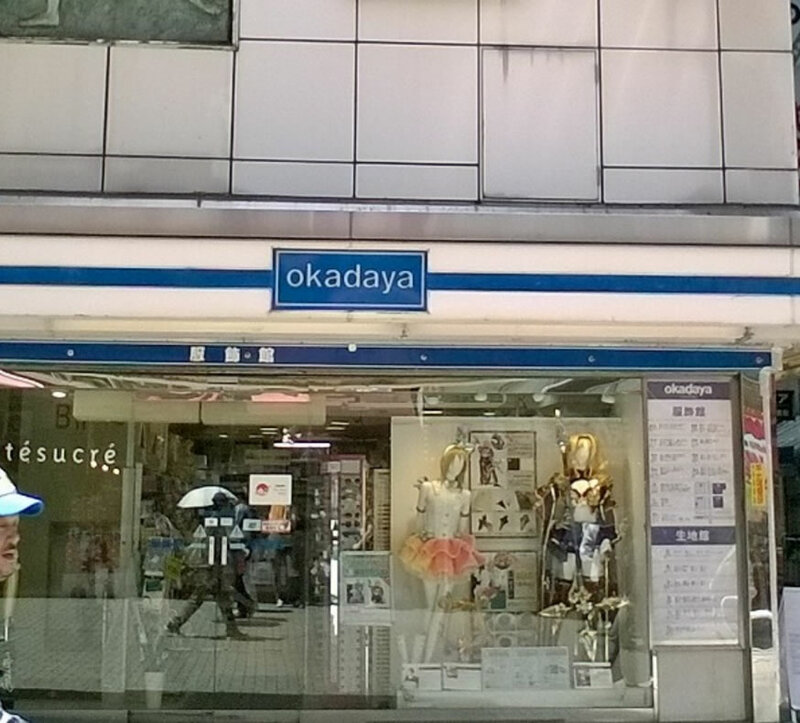 Although much smaller than Takashimaya, this shop has such a charm. 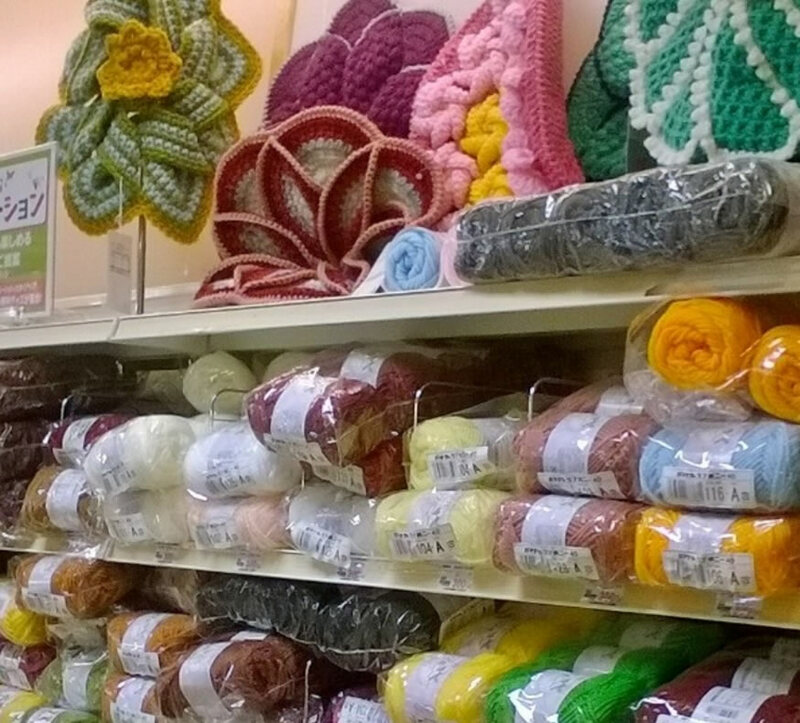 Again full to the brim with craft treats, yarns, books and everything you can dream of, from sewing machines to clever tools you may have never even heard of. I could have spent hours in here as well, but sadly time was against me. 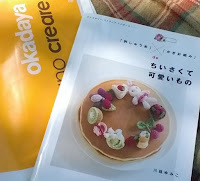 I did however manage to pick up another crochet pattern book, this time for small food items. 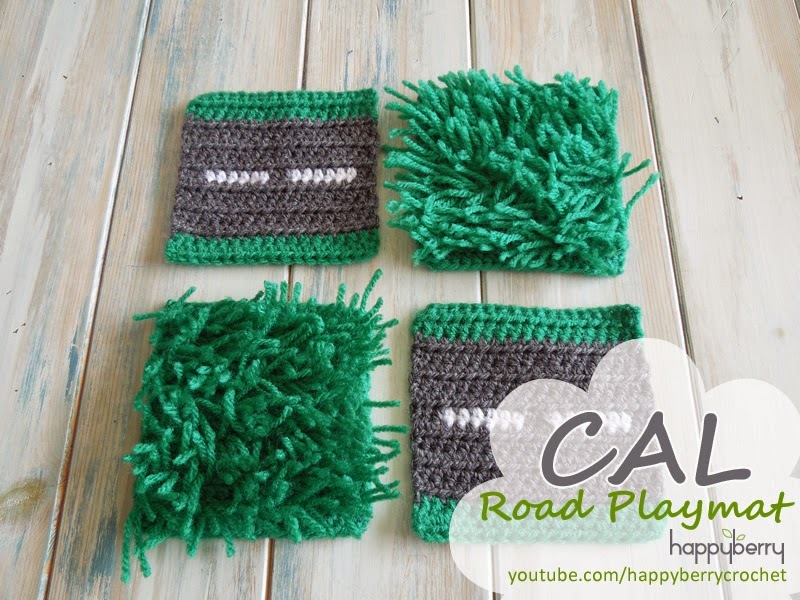 I think I was becoming a little addicted to cute miniature projects, and I think I will be designing some more myself now I am full of inspiration! 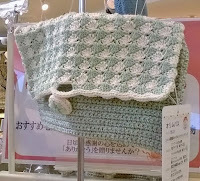 Again, Okadaya had some gorgeous finished projects on display, such as this chunky stitch clutch, and this gorgeous lace top. 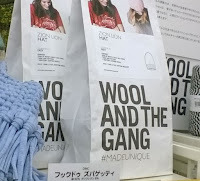 I was also rather impressed to discover Wool and the Gang in Okadaya! 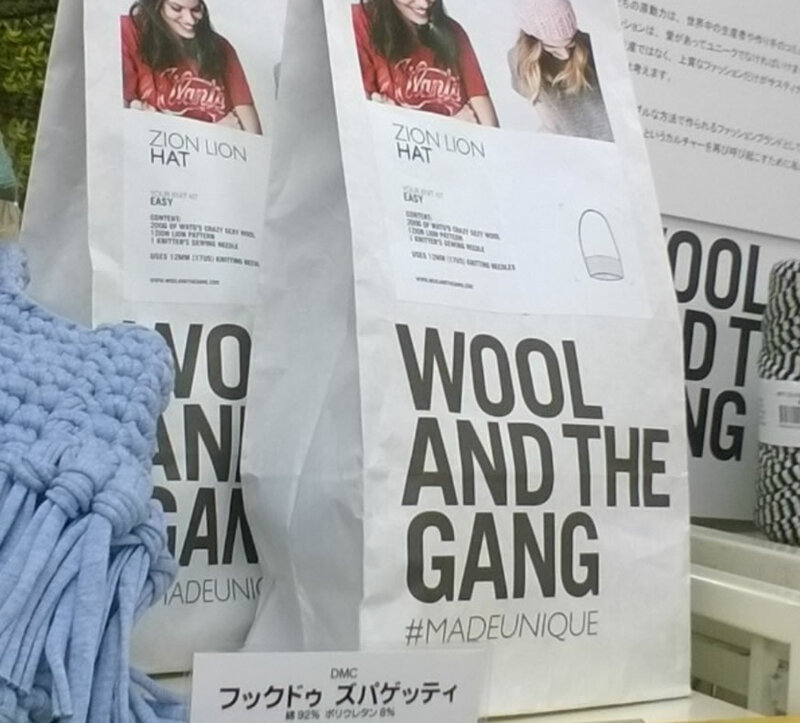 Their wools beautifully displayed with some finished projects on display. It made me feel proud to be British. 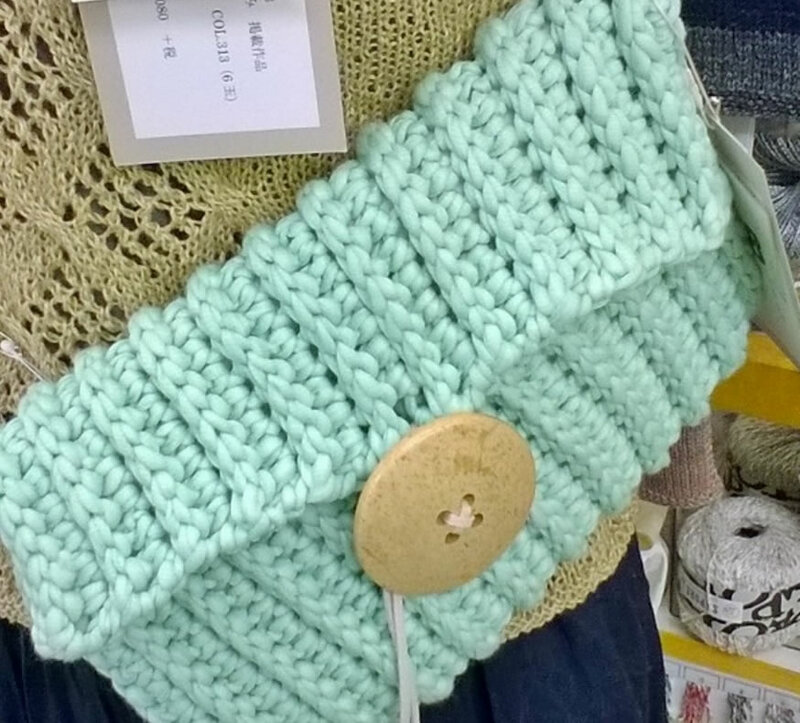 I also discovered a lovely Japanese yarn called Paume, which is a 100% Pure Organic Cotton yarn. It came in some gorgeous colours and felt amazing, but sadly there was no room in the luggage. I'm secretly hoping I can get access to some in the UK. 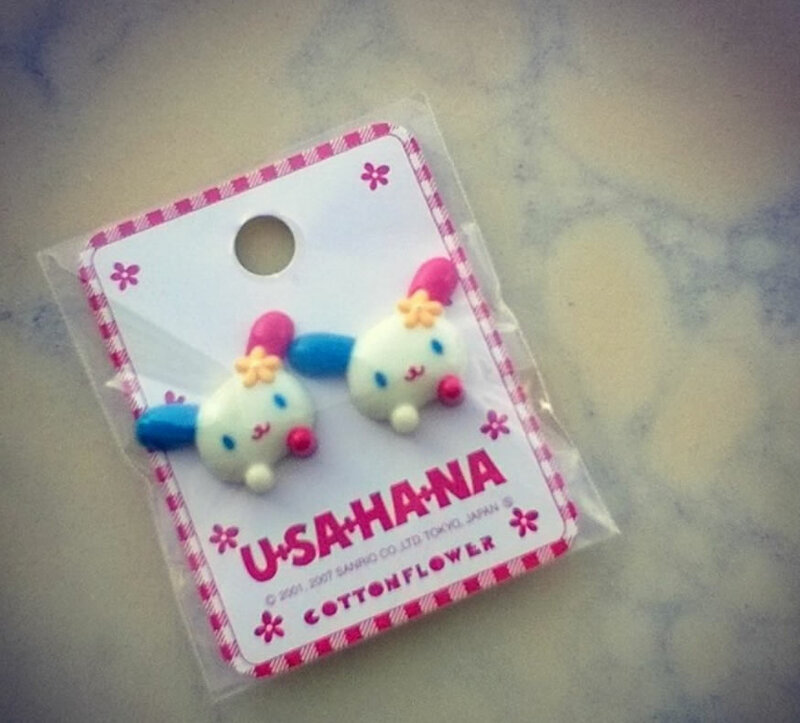 So my time in Japan came to an end, but I didn't leave you guys out of the Japanese cuteness. 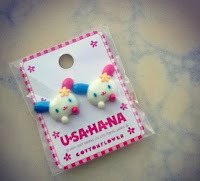 Just before I left Okadaya I picked up these adorable buttons, which I will soon be giving away to one lucky reader. So keep your eyes out for that. 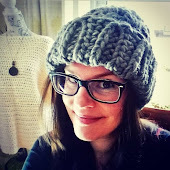 Until then, happy crocheting and see you soon for some more crochet fun!